Healthcare Insurance and Health Insurance – What Are They? Nitin Chhoda explains the health care insurance, its providers, the Insurance coverages and the Affordable Care Act for patients. He also discusses the importance of knowing the limitations of patients’ insurance so that patients and service providers know what to expect at the time of treatment. Healthcare practice management costs that continue to rise and unforeseen medical emergencies are the two overriding reasons individuals buy healthcare insurance. Essentially, patients purchase insurance against the risk of becoming ill or encountering a potentially expensive and unforeseen medical need. Accidents and catastrophic medical emergencies happen in the blink of an eye. Healthcare insurance helps defray patient costs and insures healthcare providers receive payment for their services. Patient healthcare insurance is most often provided through an individual’s employer. Business owners contract with insurance companies to provide an established range of healthcare services that can include hospitalization, vision and dental coverage, along with office visits, prescriptions and lab tests. Available coverage varies widely, with employers shouldering a major portion of the costs while the individual is responsible for co-pays, deductibles and monthly premiums. Medicaid and Medicare represent another form of healthcare insurance. Medicare is administered through the federal government. Medicaid is funded through federal and state governments and distributed at the discretion of each state. Medicare is accessible by retirees and the disabled. Medicaid typically covers low-income children and adults with no other available options. Dwindling funds and budgetary concerns have led to coverage limits in both Medicaid and Medicare, making it essential for therapists to verify a patient’s coverage before treatment. There’s been a push by healthcare insurance providers and employers for patients to shoulder more of the monetary burden of their healthcare, giving rise to a wide variety of special clauses and exclusions in healthcare policies. Cancer, long-term healthcare needs and disability claims are costly for insurance providers and many policies now require clients to purchase additional, specific coverage for certain conditions. The result of shifts in healthcare insurance policies and practices has resulted in a lack of sufficient coverage for much of the population. Underinsured clients and those with no coverage present a major problem for therapists who must balance the desire to practice their profession and render aid to those in need, with operating a practice that remains solvent and profitable. The first line of collections when a patient receives treatment is the healthcare provider. 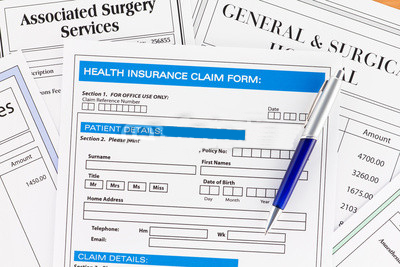 To ensure reimbursements are received in a timely manner, practitioners submit claims to the patient’s insurance provider. Any amount not covered through the client’s healthcare plan is the responsibility of the patient. It’s essential for therapists to determine a client’s coverage before the time of treatment to ensure the patient receives necessary services and clinicians obtain the payment to which they’re entitled. The Affordable Care Act extended medical coverage to millions of individuals who previously had no insurance, but significant limitations and gaps in available services still exist. Clinicians must ensure they have current insurance information for every client they treat before the patient arrives at the office. It’s an unfortunate reality, but the direction of current insurance company policies may force therapists to decline patients with limited or no coverage to ensure their practice isn’t at financial risk. Insurance companies represent the first line of reimbursements for clinics, followed by state and government programs, and self-pay patients. Changing and evolving healthcare insurance will require practice owners to examine the state of their businesses and the patients they treat with an increasingly stringent set of criteria. Medical billing and coding are indeed a very complex subject. It is important to analyze whether your practice will need an in-house medical biller and coder or have it outsourced. Nitin Chhoda gives some factors to consider in order to guide your physical therapy practice when it comes to your medical billing needs. 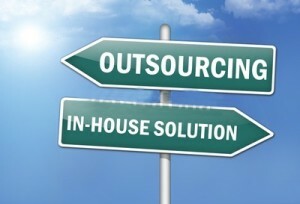 Outsourcing often increases efficiency, especially in technical fields like accounting and medical billing and coding. Within a single office, a number of practices can be serviced by a handful of highly skilled professional medical billers and coders. They can focus all of their resources and attention on efficiency and a system that works. At a medical clinic, the primary focus is often the patients, as it should be. Here are some very good reasons that a practice should consider outsourcing medical billing and coding. For the most part, the decision will be financial. But to determine whether or not it will be worthwhile for your practice to outsource can be so complex that identifying key reasons to outsource will help. New clinicians or health care providers have a whole host of things to worry about. How do you maintain a steady stream of patients? Does your practice have the in-house testing capabilities necessary for the needs of the community? How do you balance the business side with patient care? How many hours per day should you be seeing patients? Probably the top concern is how your patients are doing, how they feel about you, and whether or not you’re helping them. Managing a business at the same time as you’re learning what it means to run a private practice can be overwhelming. If you are handling in-house medical billing and coding, but have to hire a new biller or coder regularly, your practice will suffer. The learning curve for medical billing and coding is unforgiving and even a skilled medical billing and coding professional is going to be slow to start as they figure out your particular system. For practices that can’t seem to keep medical billing and coding staff members, a consistent service from elsewhere will be more efficient. Outsourcing has a couple of major benefits, and one of them is that rejections and denials are usually decreased when you outsource medical billing and coding. 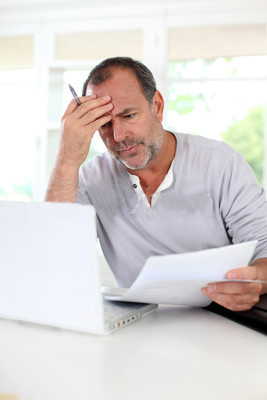 If you are experiencing problems with collections and your rejection and denial rate is high, it may be time to consider giving the job to a service that specializes in getting claims accepted. Chances are, you don’t want to think about medical billing and coding. As critical as getting paid is to the health of your practice, if you became a doctor because you want to help people feel better, billing is probably an annoying part of your job. Not to mention the fact that an incredible amount of tech savvy and skill is required to make your medical billing and coding system efficient and effective. Many clinicians decide that the billing side is the part they don’t want to know about – they’d prefer to let someone else worry about the medical billing and coding courses so they can continue to provide a service to the community. Nitin Chhoda provides reasons why medical coding is necessary and the role it has in a private practice setting. By defining what medical coding is and what codes are involved, it helps simplify the process for practice owners and staff. Medical coding is an important step between the treatment of a patient and medical billing for the procedures, tests, and services. 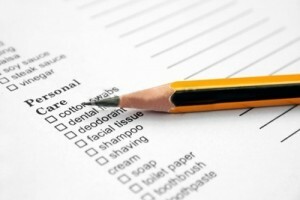 Clinicians will talk to patients, administer or order tests, and write down notes about each visit. Those notes may describe what the patient needed, and in turn a medical coding staff member will translate each billable item into the assigned medical code. 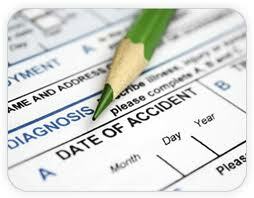 Every doctor, medical clinic, and hospital must record a patient visit and include any procedures and tests performed. No matter whether the patient, their health insurance company, or another party is paying the bill, medical coding will take place to document how the bill should be drawn up. What are the codes that are used? There are a few kinds of necessary codes that medical coding staff members handle. The first is ICD-9 codes, or the International Classification of Diseases codes. The number 9 refers to the version of this form of classification, and in 2013 a new version will be introduced, ICD-10. CPT codes, or current procedural terminology codes provide a list of alphanumeric codes used by medical coding professionals in the United States. HCPCS codes, or Healthcare Common Procedure Coding System codes, are used for Medicare and other insurance programs. All codes were developed in an attempt to streamline and standardize the way medical procedures and tests are described and billed. The most interesting thing about medical coding is that it comes from an interest in standardization. The fact is that most medical procedures can be described in a single way – medical tests and processes have been developed over time, and while that development continues, clinicians are taught a right way to do things fairly consistently. Medical coding allows a medical facility to bill for anything using a standardized system. If one hospital performs a surgery and describes it differently from another hospital, even though the procedure is essentially the same, a health insurance company is going to have a hard time determining whether or not they truly are the same procedure. Rather than spending the time guessing about the appropriate amount that should be billed, medical coding allows everyone to agree in advance that a certain code can be billed at a certain rate. The sad thing is that this attempt at a system works in some ways and fails in other ways. The first problem is that health insurance companies change their billing requirements constantly. Even if a certain medical code is used for a certain test, the billable amount for that test may have changed. Laws attempt to keep things flexible and reasonable, but everyone is still trying not to spend any more money than they absolutely have to. On the other hand, medical coding has made it possible for trends in diseases and public health and safety problems to be tracked at local and national and even international levels. This kind of information and the data collected through medical coding can help to improve medical care. Medical coding is a complicated task, and requires constant updating. NItin Chhoda shares the main tasks of a medical coder and the importance of using certified people. Because medical coding is such an important task, many clinics assign a medical coder to do the job. Sometimes the medical coder and the medical biller are the same person, especially in a smaller clinic. But medical coding is a complex task that requires a detail oriented approach and specific knowledge. Some of the most recent trends in medical coding have shown an increase in the demand for certified medical coders. A certified medical coder for physical therapy billing is required to spend a certain amount of time studying medical coding before they become certified. You don’t have to have a degree or certification to work as a medical coder, but you do have to understand medical terminology and have a good education in physiology and anatomy. Reading what a clinician has written and assigning the appropriate medical codes would be hard if you don’t know what the clinician is talking about. But another advantage of hiring a certified medical coder is that they will be required to take continuing education courses and re-certify regularly. That means that when changes are being made to medical coding websites, the medical coding staff member will be updated through courses. 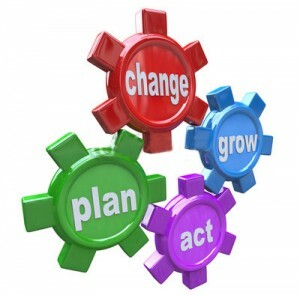 One very important change that is coming soon is the switch from ICD-9 codes to ICD-10 codes, which will occur in October of 2013. An additional 100,000 codes will be introduced into the system, and the ICD-9 codes only number about 13,600 codes. This change is going to affect every single health care provider in the country. As a result of the need for skilled medical coding professionals, the job of a medical coder is looking pretty steady for the next decade and beyond. Competitive certification programs are popping up all across the country. For people looking for a steady and well-paid job, medical coding is a good option these days. There have been a few recent trends in medical coding education. Most significantly, more and more medical clinics want to hire certified medical coders rather than someone they will have to train themselves. A skilled and experienced coder will be able to handle the job efficiently and they will be learning how to deal with changes and updates as part of their re-certification courses. With this kind of confidence-inducing education, certified medical coders are a well-respected part of successful medical practices. Another big adjustment that is rapidly changing the way medical coding is done is the introduction of electronic medical records. For some coders, this sounds like the best idea yet. EMR systems might make their jobs faster and more efficient, allowing for coding and billing to occur side-by-side within the computer program. Some medical coding professionals are not so enthusiastic. They see plenty of potential for problems with security and privacy. But as electronic systems evolve and the need for better electronic security arises, it seems that security companies are developing the proper privacy measures to accommodate a paper-free medical coding environment. The basics of medical billing and its role in the physical therapy business are shared by the licensed physical therapist, Nitin Chhoda. He emphasizes the difference between medical billing and regular businesse billing. Closely followed by the process of medical coding is the medical billing step. These two important parts of any practice are closely related and intertwined. They work together like the contract administrator and the biller who must base billing on the details of the contract. In small practices, the medical coding staff member is the same person as the medical biller. It is likely that this trend will continue as medical coding and medical billing systems become more efficient and more integrated. What is medical billing and why is it different from other forms of billing? The primary difference between medical billing and any other billing is that medical billing requires an incredible amount of attention to detail and specific codes for each procedure. Naturally, there are other billing processes that are similar, but medical billing seems to be one of the most complex of them all. Medical billing is what health care providers and health insurance companies go through to get medical expenses paid to the health care provider. The first step is the visit of a patient to the health care provider. The clinician will attempt to diagnose the problem the patient is having in an attempt to classify the exchange for the health insurance company. The billable services are then coded by the medical coding staff member and those codes are used for medical billing to the health insurance company. The rates for services are pre-set by the insurance company and the clinic, which is why clinics only take certain types of health insurance. They have to negotiate prices with each company they work with. If there are any mistakes in the medical billing service and process, the insurance company will reject or deny the claim. A rejected claim is a bill that has some clerical, invalid codes, or any other minor detail that can be a cause for rejection. Rejected claims must be researched by the medical biller and re-submitted correctly. 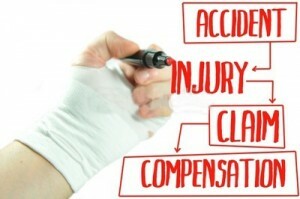 Denied claims have been processed but the insurance company has deemed them unpayable. A denied claim can be re-submitted or appealed if the medical biller believed the denial was unfounded. 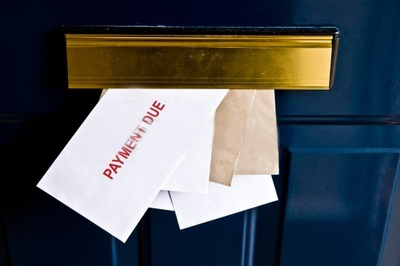 Medical billers have to deal with about a 50% rejection and denial rate. There are so many opportunities to make mistakes and insurers are much quicker to deny or reject a claim than they are to pay one. The back and forth can be frustrating and exhausting. But more importantly, this paperwork headache is incredibly time consuming. Medical billing has turned into a very inefficient process and medical billers can start to feel that they are wasting incredible amounts of time just because of a tiny mistake. Medical billing can be a tough job. Electronic medical records are attempting to streamline the process, however, and the job of the medical biller may get easier in the very near future. Many EMR systems are actively marketed as easy-to-use for medical billing. They can decrease the occurrence of mistakes and speed up the corrections process.